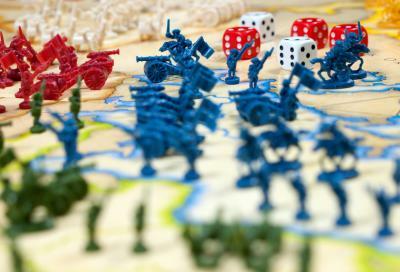 We've always been a big fan of board games like Risk, so we were quite intrigued to learn that there's a Boardgame Players Association (BPA). The BPA is a non-profit corporation established to support the shared interests of board game players around the world. The BPA started in 1991 and its members include people who have a hankering for historical simulation games, euro games, racing games, train games and all kinds of board games. The BPA's largest event is the annual World Boardgaming Championships, where about 2k people vie to be named champion of their favorite games. BPA members vote to select the roughly 100 games where competitions take place, and you need not be an expert to participate. Every day, it seems people roll the dice as they take on more risk. Consider payday loans, where each year roughly 12mm Americans take out these loans, spending more than $9B on loan fees, according to Pew Charitable Trusts. These loans mean millions of people are putting their financial futures at risk. Even more troubling is the number of repeat payday loan users. Consider this startling statistic: The number of California payday loan customers who made 10 transactions in 2015 outnumbered those who made just one, according to a July report by the California Department of Business Oversight (DBO). Notably, 462,334 customers obtained 10 payday loans last year, the survey found. That's 42.7% more than the 323,870 customers who made only one transaction--not a small difference. Interestingly, the number of payday loans made in CA in 2015 dropped 1.17% to roughly 12.3MM. However, it's still troubling that the aggregate dollar amount of transactions rose 23.51% to about $4.2B. Of course, CA represents only a portion of the payday loans happening nationwide. This, of course, is why regulators have been closing ranks, trying to protect consumers against predatory practices. Back in June, the CFPB proposed a rule aimed at ending payday debt traps by requiring lenders to take steps to make sure consumers have the ability to repay their loans. The proposed CFPB rules would also cut off repeated debit attempts that rack up fees. It is the first federal proposal to regulate payday and auto title loans and would also cover deposit advance products and certain high-cost installment and open-end loans. The comment period for the proposals ends Sept. 14. Meanwhile, some banks are reportedly considering ways to work with the millions of people who now rely on payday loans should these new rules from the CFPB become final. According to American Banker, at least three major US banks are planning to offer comparable loans at far lower cost once the rules are final. Certainly, not everyone loves the idea, despite the fact it appears to be supported both by consumer advocates and the CFPB. These groups seem to feel the best solution would be for highly rated traditional banks to take over payday lending and make it more mainstream and less egregious. No matter how you measure this risk or play the game, bankers have been pushed out and replaced by payday lenders. As such, every year millions of consumers are playing with their financial health and risking everything in an unnecessary game of chance. Let's hope this all gets sorted out sometime soon and that the regulatory players win this game. Yields climbed 2bp following hawkish commentary from Fed officials. A study by the National Business Group on Health predicts health insurance premiums will rise 5% in 2017 for employers and by 5% as well for employees. CNN is reporting the IMF is warning China its already high and rising corporate debt levels should be urgently addressed to help stave off larger issues down the road. The BIS reports China's debt at $25T is about 254% of its GDP. Marriott International has signed a deal to acquire Starwood Hotels for $13.6B, creating the world's largest hotel company. JPMorgan reports total debt of government bonds trading with negative yields is about $11.5T. By maturity it is < 1Y (27%), 1-5Y (37%), 5-10Y (23%) and 10Y+ (12%). An RMA survey finds bankers rank the following as the most important factors for setting liquidity risk limits: reasonableness (26%), stress testing results (22%), and historical experience (20%). A KPMG survey of executives at banks >$250B finds 31% say they plan to decrease the number of physical branches in the next 12 to 18 months. Bank of New York settles about 85% of the $1.6T in repo transacted. CoreLogic reports home prices climbed 5.7% YOY in June. By state, OR saw the biggest YOY rebound at 10.9%.